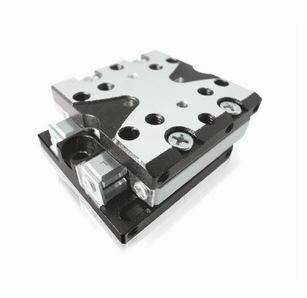 PI’s LPS-22 miniature piezo positioning stages are ideal for applications involving optics alignment and assembly, microscopy, beam-line instrumentation, medical engineering, and bio-technology. Their motor drive allows for maximum push/pull forces of 3N and a velocity of 10 mm/sec. LPS-22 linear stages are some of the smallest precision stages currently available on the market. For more information on the LPS-22 series, as well as other stages offered by PI, download the datasheet or contact PI directly.